So I have some really exciting news!! 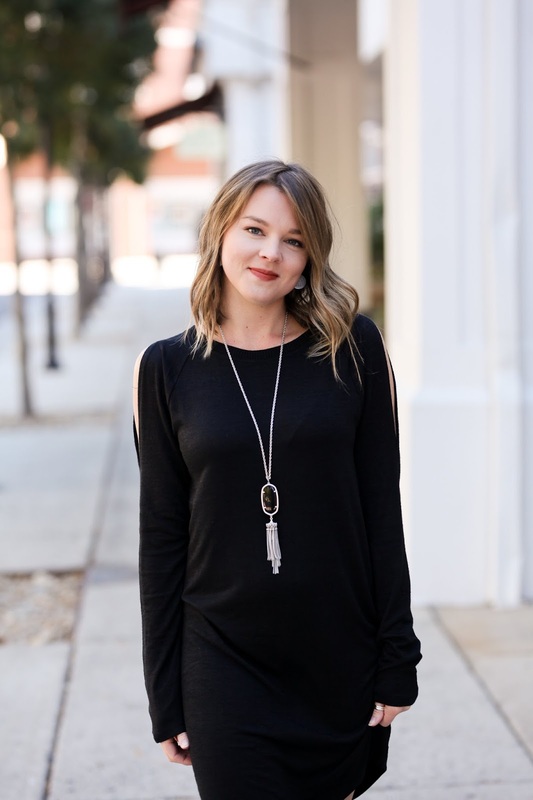 I got accepted by LiketoKnow.It (LTK), which means you all can now shop my exact items from a blog post or Instagram through email or the app….exciting right?!? I am ecstatic about about it and so excited for a new, easier way to share my fashion with all of you and make it easier for you to shop! Most of you may already know how to use it, but for those of you who don’t I’ll give you a quick breakdown below! First, download the LiketoKnow.It app on your phone or sign up by clicking on this link. From there, you only need to enter your name and email address to sign up. Once you are all signed up, all you have to do is like my photos on Instagram or Facebook and an email will be sent directly to you (within minutes) with all of the clothing links. Simple as that! Also, when I post on my blog, I will link everything there and on the “Shop My Instagram” tab so you can click there too. Simply click on the item you like and it will direct you straight to the retailer's website. In my opinion, the app is more fun because you can scroll through all your favorite bloggers and follow as many pictures as you want! You can also screenshot any picture with http://liket.it on Instagram and you will receive all of the details that way too. Your Instagram likes or screenshots from any blogger will all be there and you can keep track of them! With the app, you don’t have to take screenshots or like a photo on Instagram, you can just go to that specific bloggers page and click on any photo to see the details of where everything is from. 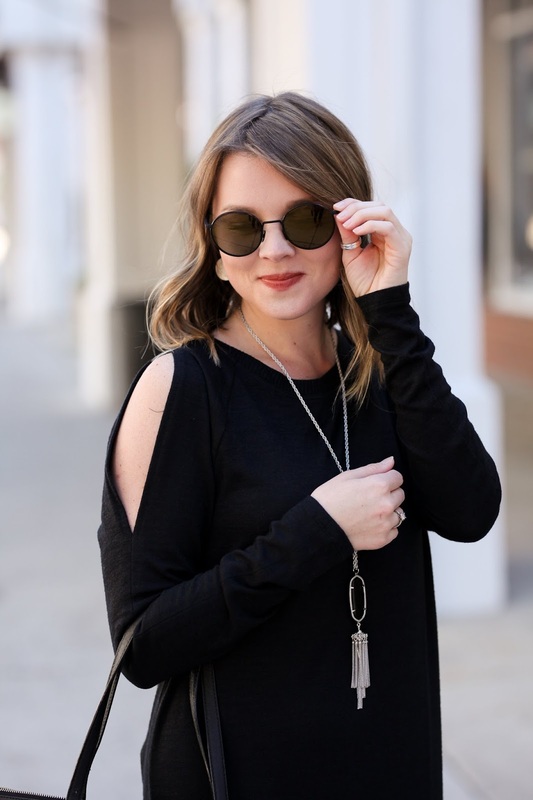 I personally follow A TON of bloggers and I love how easy LTK makes it for me to find where they got their outfits and accessories. Instead of searching all over the internet trying to find a certain pair of shoes or a specific shirt, I can just buy them with a click of a button. Now on to the outfit! It’s been super nice here in Charlotte lately, in the 60's & 70's, so I’m hoping this will be the last of the sweaters and boot posts and then on to the spring style! 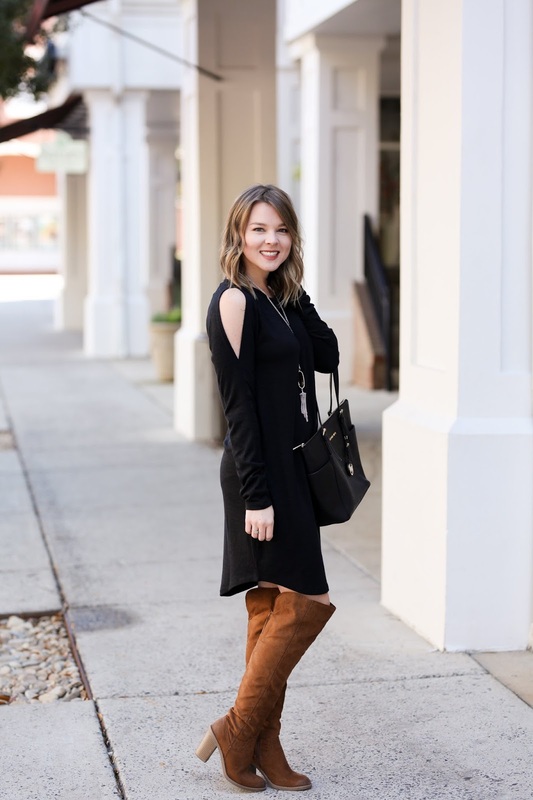 This outfit is a great way to start transitioning into spring with a sweater dress and over the knee boots. This dress is very lightweight so you won’t get too hot even on a little bit warmer day. It’s one of those dresses that is super easy to throw on when you want to look cute, but don’t really want to try. The cut out sleeves make it different from regular sweater dresses, which I love! So now let's try this out! Click the pictures below to shop my outfit! My shoes are no longer for sale but I've linked similar ones for you!